Valentino Garavani (1932- ) was born in Voghera, a city in Lombardy, on 11 May. Even as a young man he was fascinated by fashion and decided to study design in Milan. When he was seventeen he discovered the extraordinary shade of red that would remain a design element throughout his career at a premiere of the Barcelona Opera. In 1950 Valentino went to Paris, where he studied design at the schools of the Chambre Syndicale de la Couture Parisienne. He obtained his first position as a designer with Jean Dessès. In 1957 Valentino went to work in Guy Laroche's new atelier, where he remained for two years. His training in France provided him with both technical skill and a sense of taste. In 1959 he decided to return to Italy and opened his own fashion house on the via Condotti in Rome with financial assistance from his family. In November he made his debut with his first couture collection, displaying 120 luxurious outfits notable for their stoles and draped panels that emphasized the shoulders. The Sunday Times of London was quick to take note of the new designer, singling him out for the refined lines of his tailoring and the sophistication of his garments. In 1960 Valentino met Giancarlo Giammetti, who became his business administrator. 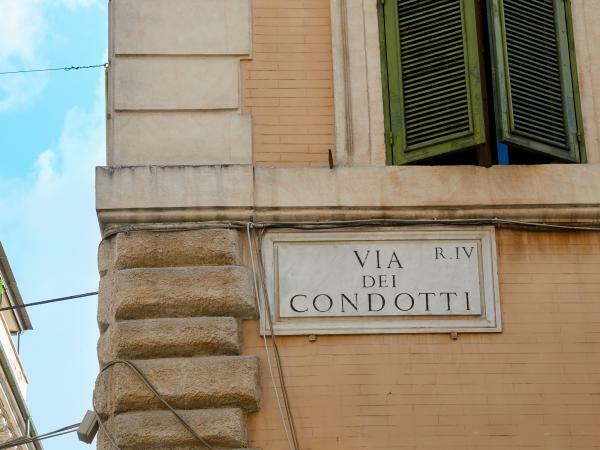 At this time he moved his fashion house to via Gregoriana, 54. Valentino quickly became the favorite designer of the movie stars who were often found at Cinecittà, known as the new Hollywood during the years of Italy's economic boom. One of the first stars who wore Valentino's clothes was Elizabeth Taylor, who was in Rome for the filming of Cleopatra. In 1960 Valentino signed an agreement with a British firm, Debenham and Freebody, to reproduce some of his couture designs. That same year he designed costumes for Monica Vitti in Michelangelo Antonioni's film La Notte. In 1963 Valentino's summer line was photographed on the set of Federico Fellini's film 8 1/2. Valentino's collection for fall-winter 1961-1962 featured twelve white outfits inspired by Jacqueline Kennedy. But what secured Valentino's fame was the success of his first fashion show on the runway of the Sala Bianca in the Palazzo Pitti in Florence in July 1962. For the first time French Vogue dedicated its cover to an Italian designer. Valentino's fall-winter collection for 1963-1964 was inspired by wild animals. American Vogue published a photograph of the contessa Consuelo Crespi wearing one of his zebra-patterned models, which anticipated his op art and pop art-inspired collection of spring-summer 1966. The 1966 collection has become famous for its prints and geometric designs, its stylized animals, and its large dots. That same year Valentino started a lingerie line and stunned his audience with a winter show that included pink and violet furs. Ethel Kennedy chose a Valentino dress for her meeting with Pope Paul VI in June 1966. 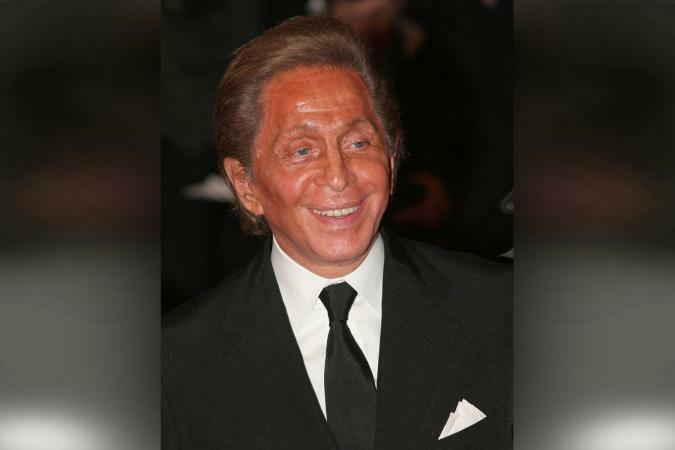 In 1967 Valentino received the Neiman Marcus Award in Dallas, which spurred him to further develop his creative ideas. The award was the direct impetus for his first men's collection, Valentino Uomo. The designer's accessories, especially his handbags with a gold "V," became essential items for the elegant women of the jet set. In 1968 Valentino introduced his famous Collezione Bianca, a spring-summer line of white and off-white garments that included suits, wraps, coats, and legwear in white lace. The show took place at a critical moment in international fashion and helped alleviate the crisis in haute couture-a crises due to changes in international society in 1968 when people started looking at less exclusive models. In March of that year Valentino opened a store in Paris, followed by one in Milan in 1969. In October 1968 he designed Jacqueline Kennedy's dress for her wedding to Aristotle Onassis. He was the most acclaimed designer of the moment and expanded his circle of clients to include Paola di Liegi, Princess Margaret of England, Farah Diba, the Begum Aga Khan, Marella Agnelli, Princess Grace of Monaco, Sophia Loren, and many other well-known women. Valentino lengthened hemlines and introduced folk and gypsy motifs in the early 1970s. He started his first boutique line in 1969. It was originally produced by Mendes, although ready-to-wear production was turned over to Gruppo Finanziario Tessile (GFT) in 1979. Valentino also opened a prêt-à-porter shop in the center of Rome in 1972. Throughout the 1970s his designs alternated between slender suits and harem pants coupled with maxi coats. These designs often evoked a Liberty and art deco atmosphere, as in his 1973 collection inspired by the art of Gustav Klimt and the Ballets Russes. In 1974 he opened new stores in London, Paris, New York, and Tokyo (in the early 2000s there are twenty-five stores throughout the world). In 1976 he decided to show his boutique line in Paris, while keeping his couture line in Rome. Valentino launched his first perfume, named Valentino, in 1978. The following year he introduced a line of blue jeans at a famous discothèque, Studio 54 in New York City, which was publicized through an advertising campaign photographed by Bruce Weber. The collections of the 1980s were characterized by sarong skirts gathered on the hip, draped garments, ruched fabrics, breathtaking necklines, and dramatic slits in a range of colors that emphasized the famous Valentino red, together with black and white. In 1982 the designer presented his fall-winter collection at the Metropolitan Museum of Art. In 1986 he introduced Oliver, a more youthful line named after his faithful dog, which he used as a logo. Three years later, Valentino decided to show his couture line in Paris, a series of garments inspired by ancient and modern art. Valentino's collections of the 1990s integrated the themes of revival and self-reference-flounces, embroidery, and dots-partly as a way of emphasizing his thirty years in fashion, which were celebrated in several short films, exhibitions, and books. In January 1998, after a difficult period, Valentino sold his brand to the Holding di Partecipazioni Industriali SpA (HdP) group run by Maurizio Romiti, although Valentino remained the creative director. In 2002 HdP sold the fashion house to Gruppo Marzotto. Valentino has paid his own personal tribute to contemporary fashion, inventing a recognizable look, modern yet sophisticated, which balances tradition and innovation through the image of an iconic femininity that is both classic and chic. Valentino's designs have as a common denominator the technical precision of fine tailoring, which he applies not so much for the sake of innovation but rather to provide a sense of stylistic continuity. Bows, ruching, and draping are distinctive features of many of his designs, together with the famous Valentino red. All these features are used strategically, serving to give the brand its mythic quality. Valentino's fabrics are printed with flowers, dots, and his own initial, which has doubled as a logo since the 1960s, highlighting the interplay between ornamental texture and effective communication. A forceful interpreter of the lines and ambiance of the nineteenth century, with references ranging from the neoclassical with its fine drapery through the Second Empire with its crinolines, Valentino plays with the idea that his garments serve as a kind of aesthetic memory, a modern reference to a different time. Because of the designer's ability to work with tradition, he has found a unique, although elitist, stylistic solution that has satisfied sophisticated women throughout the world. See also Celebrities; Italian Fashion; Vogue. Bianchino, Gloria, and Arturo Carlo Quintavalle. Moda: Dalla fiaba al design. Novara, Italy: De Agostini, 1989. Cosi, Marina. Valentino che veste di nuovo. Milan: Camunia Editrice, 1984. Morris, Bernadine. Valentino. Florence: Octavo, 1997. Pellé, Marie-Paule. Valentino's Magic. Milan: Leonardo Arte Editore, 1998. Sozzani, Franca. Valentino's Red Book. Milan: Rizzoli International, 2000. Valentino. Trent'anni di magia. Le opere. Le immagini. Milan: Bompiani Editore, 1991.